In the digital age, modular analog synthesizers make a surprising comeback. Digital software has been making huge inroads into modern electronic music for some time now. More often than not, producers and other sound artists have at their disposal a computer running a suite of specialized software programs, in addition to other easy-to-use, plug-and-play controllers. But some are adding a vintage touch to their equipment arsenal in the form of modular synthesizers, which not so long ago, epitomized the future of cutting-edge music with their monolithic, towering racks, studded with knobs that when turned, created new, unheard-of sounds that experimental musicians were craving for. Early analog, transistor-based modular synthesizers like the ones developed by pioneers Bob Moog and Donald Buchla and companies like Roland and Yamaha, had their heyday back in the late sixties, seventies and eighties with artists like Keith Emerson, Pauline Oliveros, Kraftwerk and Depeche Mode, before musicians shifted to newer, more compact and user-friendly fixed-architecture synthesizers. But the modular synthesizer isn’t dead — in fact, it’s alive and kicking, and even enjoying a revival of sorts in the last few years. Renewed interest in vintage synths began to grow in the 1990s, with some makers like Modcan and Doepfer introducing new modular systems to meet the demand. Some compare it to the concurrent resurgence of interest in all things analog, from typewriters, vinyl records, turntables and speakers. Others say that the near-infinite variety of sounds possible on modular synthesizers is what draws people in — even audio imperfections or tuning instabilities can be translated into a thick, organic wash of sounds, in contrast to the perfectly predictable outputs of digital tools. With modern modular synthesizers, there is a more immediate, tactile connection in controlling what kinds of sounds are produced — a kind of transcendent alchemy between human and machine — compared to the less-challenging mouse-clicking required by computer-based music production. 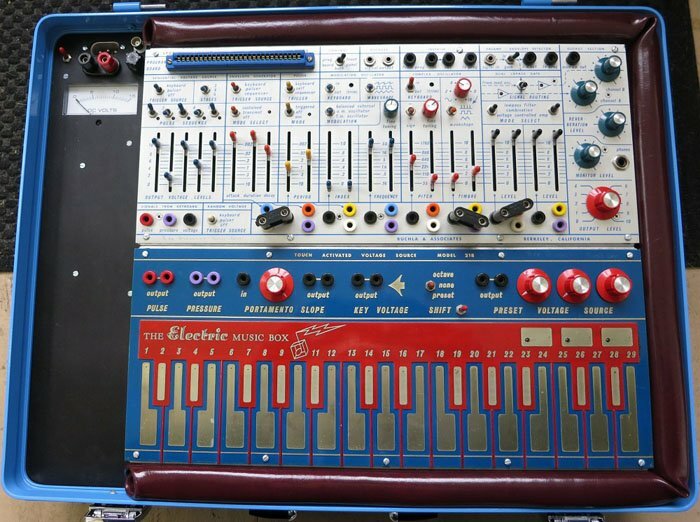 Buchla Music Easel, circa 1973. This unique synthesis is what’s bringing musicians and self-professed “sound geeks” back to the analog synthesizer, after years of it having gone underground. This renewed interest in analog sounds is also being reflected in industry conventions, such as the National Association of Music Merchants‘ (NAMM) annual event, which brings together over 95,000 members of the music product industry. According to NAMM, the number of established and boutique synthesizer brands exhibiting at the event doubled in 2015 from the previous year, making synthesizers are one of show’s fastest growing segments. 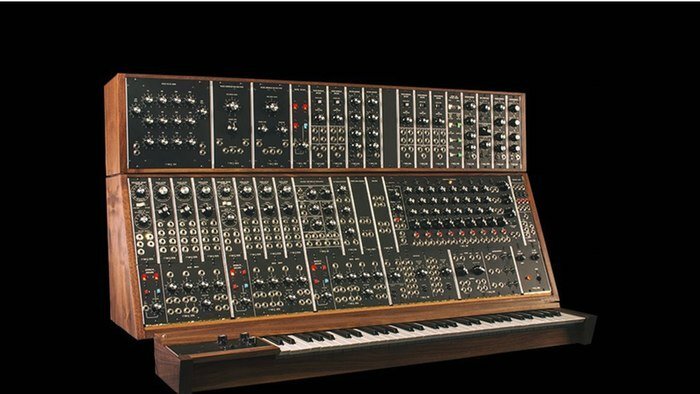 Sales of synthesizers have increased 32 percent during the last decade, and industry observers predict the synth boom will only continue to grow. 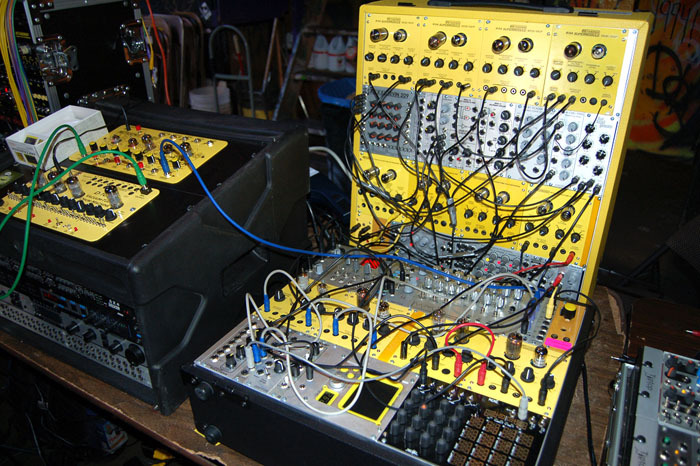 Customization is one of the main appeals of modular synthesizers. “Pop culture is shifting toward the nerds and geeks who know how to really immerse themselves in this kind of analog equipment that is tactile, customizable, creative and above all totally inspirational,” said William Mathewson of William Mathewson Devices, a maker of custom synth modules who exhibited at NAMM, in a NAMM blog post. Moog brings back the System 55, seen here with optional keyboard. For instance, the eccentric and esoteric world of the small-format and relatively cheap Eurorack is one exciting way that sound connoisseurs are building upon the classic sound technologies of the past, while taking advantage of new, alternative modules that are jam-packed with never-seen-before features. “I think this is when it started to get really interesting, because it’s no longer all about vintage recreations – there’s that, but everything else has been thrown in too – digital, analogue, valves, sampling, complex sequencing, interfacing between the modular and the computer DAW (digital audio workstation) environment, just about anything you can think of,” said Jason Amm, who makes music under the moniker Solvent, in Attack Magazine. Amm also recently collaborated with filmmaker Robert Fantinatto on a documentary called I Dream Of Wires, tracing the fascinating history and resurgence of synthesizers. Besides the multitude of online forums, websites and videos, face-to-face gatherings dedicated to exploring synthesizers and analog music are popping up in urban centers like New York City, Los Angeles and Berlin — bringing together electronic music producers, music fans and sound geeks to share, learn and build communities around synthesizers. Spreading the modular synth gospel seems to be part of the narrative too. At a recent synthesizer Meetup in Seattle that attracted more than 100 people, musicians Cindy Desmarais and Tom Butcher described their reasons for founding a new, local synth business called Patchwerks. Of course, it’s not necessarily a cut-and-dried dichotomy between analog and digital; it’s now possible to synthesize both worlds, using hybrid systems or plugins that merge analog hardware with the latest, software-based controls, providing better integration between a synthesizer setup and a digital audio workstation. Products like Expert Sleepers’ Silent Way and MOTU’s Volta are just some of the many plugins available to users looking to bridge their systems together. With more and more inventive designs hitting the market each year, and more creatives plunging into the never-ending possibilities of sound design offered by modular synths, the analog music movement is picking up where it left off, before it was prematurely usurped by the digital age. No doubt new technologies like nanomaterials, machine learning, quantum and distributed computing will push the development of these machines and hybrid system configurations further in the future, potentially evolving into something we cannot yet foresee. Whatever tomorrow may bring, it seems that the modular analog synthesizer is once again relevant, and here to stay.